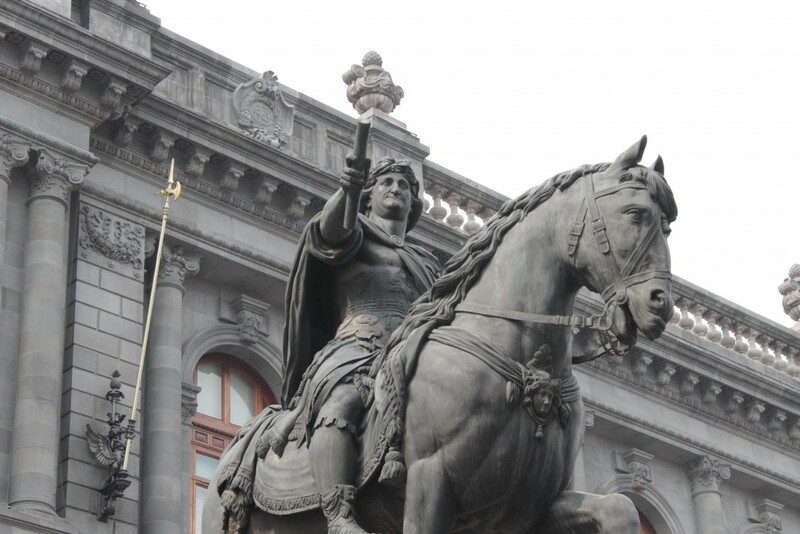 Mexico City is a capital that’s not short on statues and monuments; from those which honour past revolutionaries, to those paying homage to actors, singers and writers, there are literally hundreds to check out and far too many to name in detail in this guide. While we’ve narrowed it down to only 15 of the best, Paseo de la Reforma, La Alameda Central and the Palacio de Bellas Artes remain key areas to check out in their entirety if you’re a fan of statues or monuments. 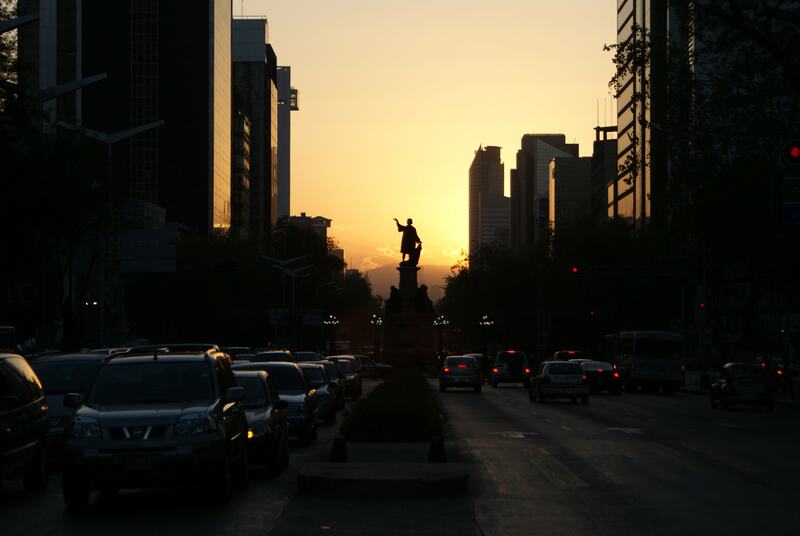 Easily the most well-known and recognisable monument which calls Mexico City home is the Monumento a la Revolución. This towering art deco edifice is the largest triumphal arch in the world and was 28 years in the making. 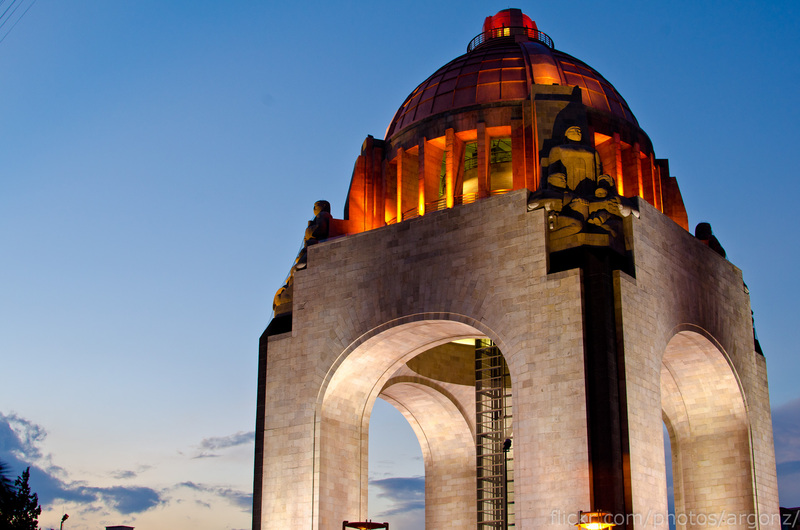 Now a mausoleum, holding the remains of some of the Mexican Revolution’s biggest players, such as Pancho Villa and Venustiano Carranzo amongst others, the Monumento a la Revolución is one of the capital’s must-see landmarks. El Ángel de la Independencia is situated on Paseo de la Reforma, one of Mexico City’s largest and most important avenues. Whilst the Paseo is lined with statues of all types, the 118-foot-high Ángel is arguably the star of the metaphorical show, making it a must-see if you’re planning a tour of the city’s statues and monuments. Originally opened in 1910, it is also the location of some of the city’s biggest annual Independence Day celebrations, the 100th anniversary of which it was built to commemorate. If towering columns are the kind of thing you look for in monuments, the Monumento a los Niños Héroes is the place for you. 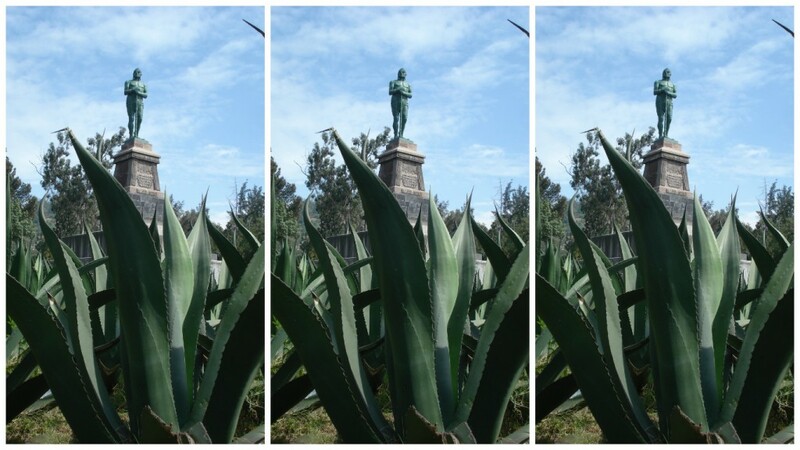 Nestled in the heart of Bosque de Chapultepec, the location of this monument in Mexico City’s largest urban green space practically guarantees it a level of importance, and it isn’t undeserved. Built in memory of the so-called ‘niños héroes’ who defended the Castillo de Chapultepec from invading US forces, it is now a focal point of the park. 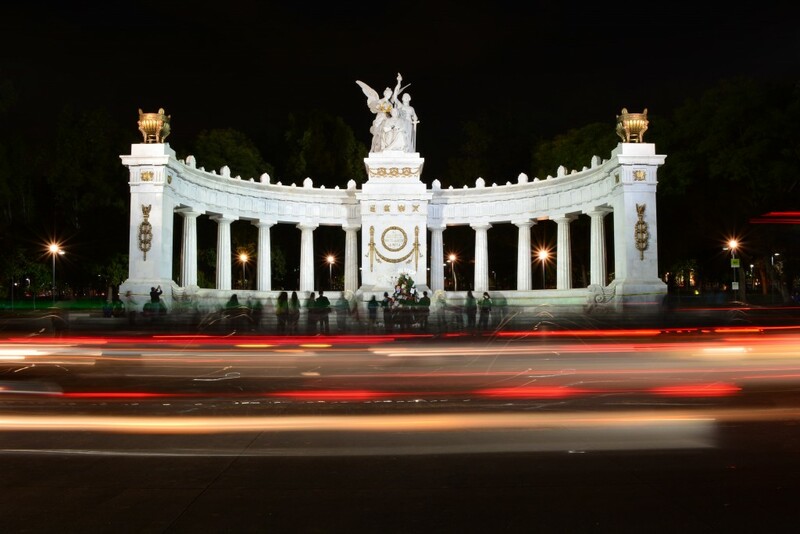 A direct copy of Madrid’s Fuente de Cibeles, which can be found in Paseo de Recoletos, the Mexican version replicates the neoclassical style of its Spanish predecessor albeit in bronze rather than marble. 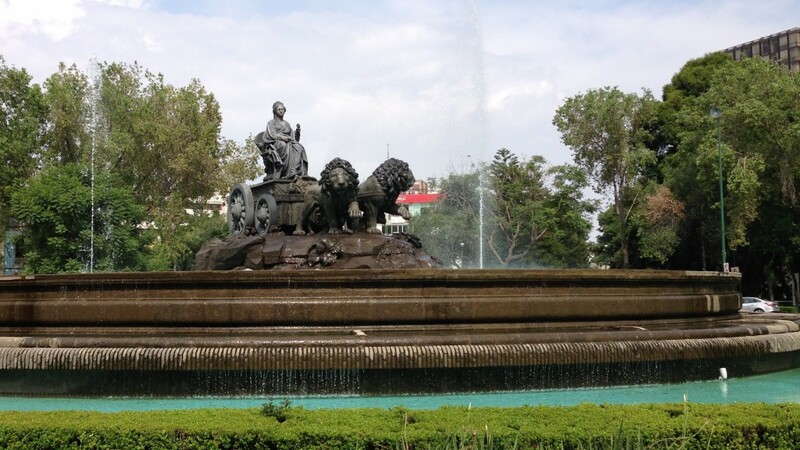 One of Mexico City’s most emblematic landmarks, this statue was first installed in 1980 and depicts the Roman goddess Cybele pulled in a carriage drawn by lions. One of the most recently erected monuments to make our guide is the Estela de Luz, which was constructed in 2010-11 to commemorate the 2010 bicentenary of Mexican Independence. Although, due to delays it was neither officially completed nor inaugurated until 2012 and was the location of many protests, as well as scandal surrounding the poor budgeting of funds set aside to pay for its construction. 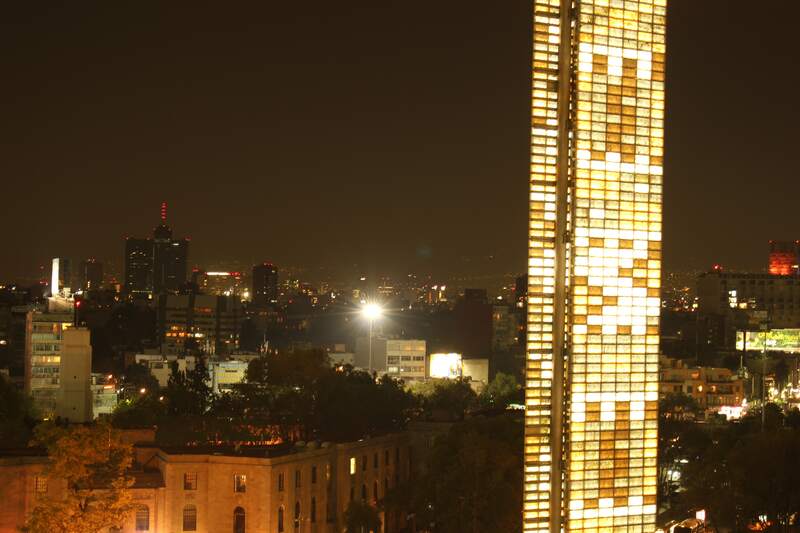 Even so, it remains an impressive example of a Mexico City monument, and stands at 104 meters tall. Anyone who has visited, or even just passed by, the incredibly recognisable and beautiful landmark of Mexico City that is the Palacio de Bellas Artes will be familiar with the numerous statues that take up home in its external plaza. 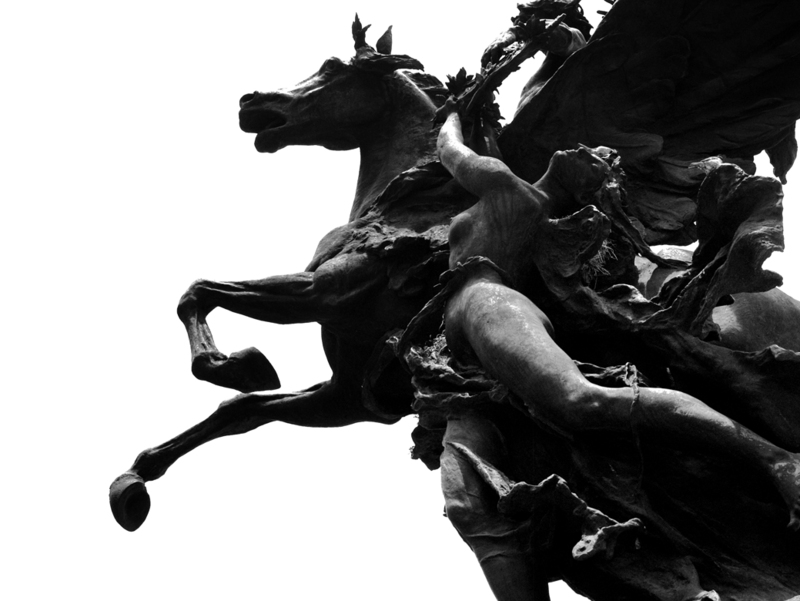 Some of the most iconic of these statues are the four Pegasus’ statues designed by Catalan Agustí Querol Subirats which were originally placed in the Zócalo, before moving to their current home. 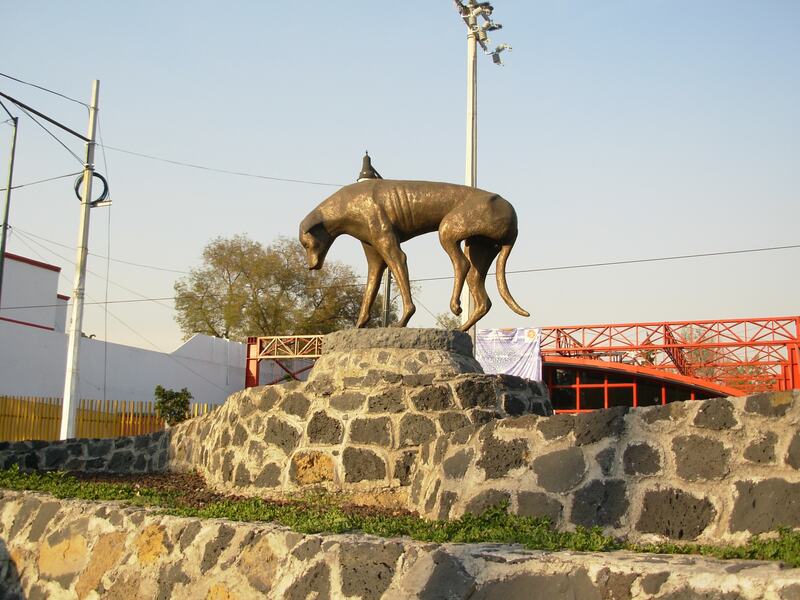 Unveiled in 2008 is this statue of a street dog; although it may not be the most well-known of Mexico City’s statues, it’s certainly worthy of a mention. This is because it was commissioned by animal rights charities in an attempt to raise public awareness about the responsibilities that go along with acquiring a dog, as well as animal abuse and the need to sterilise your animals. It is supposedly modelled on an actual street dog that died not long before the unveiling. Situated in the north of Mexico City, this monument was relocated several times before finally coming to the place it now calls home. You probably recognise the name due to the Indios Verdes metro station, and the Monumento a Los Indios Verdes is undoubtedly a must-see example of Mexico City statues. These twin figures together honour a pair of Aztec gods known as Itzcóatl and Ahuizotl and are called ‘green Indians’ because the bronze from which they are made discoloured over time, giving the monument a distinctly green hue. This monument marks a similarly crucial aspect of Mexican history, although this time it’s the moment the sign promised by the Aztec god Huitzilopochtli became apparent to a group of Aztecs. The sign was of course an eagle eating a snake, perched atop a cactus and you can now see this famous image gracing the centre of the Mexican flag, amongst other things. First inaugurated in 1970, it gives an insight into Mexican mythology and culture. 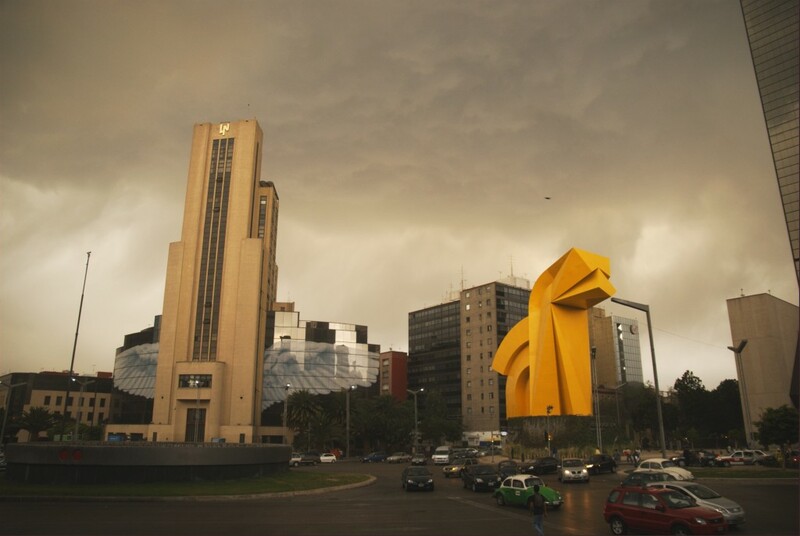 A symbol of modern Mexico City and the work of one of the country’s greatest artists, El Caballito de Sebastián can be found on Paseo de la Reforma. This huge sculpture/ monument is a vast yellow construction that truly stands out amongst the sea of grey hotels and office buildings which line this avenue. This geometric, minimalist example of Sebastián’s work is truly unmissable. This bronze statue, located in the centre of Mexico City, also used to go by the name of El Caballito, although with the more recent arrival of Sebastián’s modern, minimalist ‘little horse’, the Estatua Ecuestre de Carlos IV more often goes by the name ‘El Antiguo Caballito’ (‘the old little horse’) nowadays. Designed by famed sculptor Manuel Tolsá, it is considered one of his masterpieces. Another excellent statue that can be found along the length of Paseo de la Reforma is La Diana Cazadora, which features as the centrepiece of a fountain. 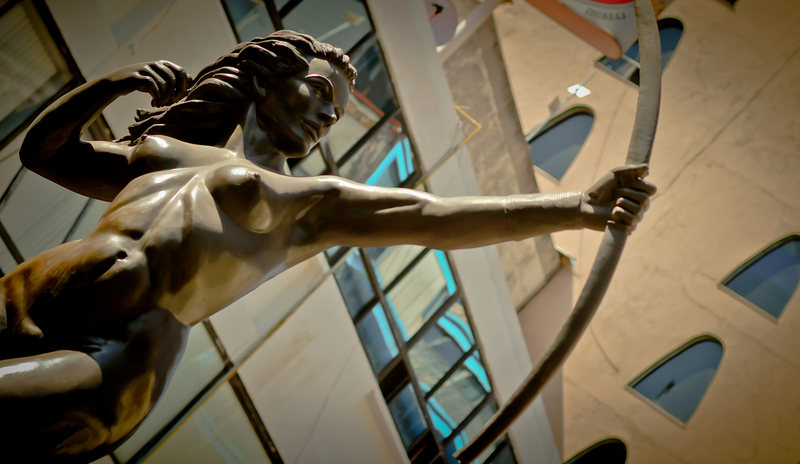 The statue is a depiction of the Roman goddess of the hunt, Diana, and was first revealed in 1942 as part of then-Mexican president Ávila Camacho’s plans to ‘beautify’ the city through the development of fountains. La Diana Cazadora nowadays serves as an homage to the strength, beauty and freedom of womankind. 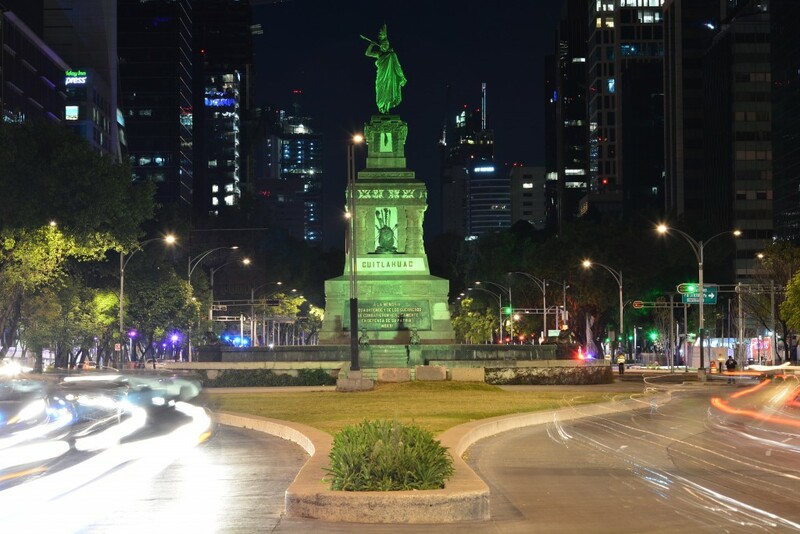 The monument to Christopher Columbus, discover of the New World (in popular history, at the very least), Monumento a Colón is similarly situated on Paseo de la Reforma. Designed in Paris by Enrique Cordier, it was first unveiled in 1877. 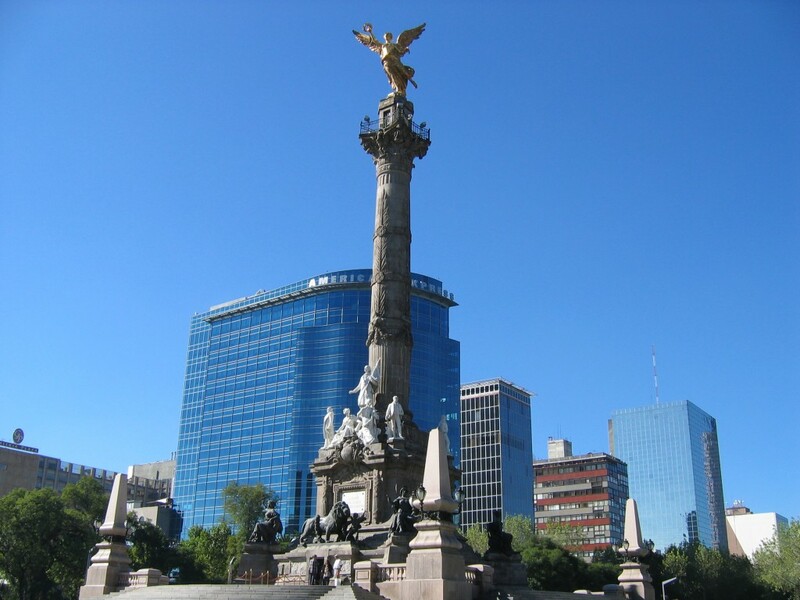 Now emblematic of Mexico City, the Monumento a Colón is also a must-see statue the next time you’re in the capital. 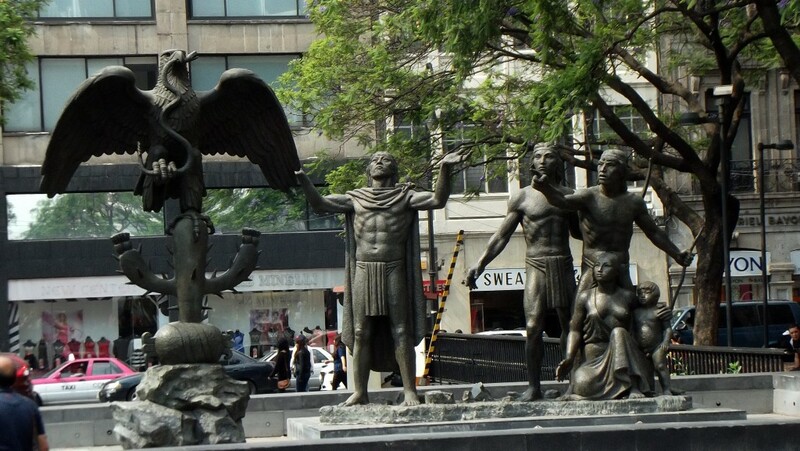 Christopher Columbus isn’t the only historical figure honoured along the Paseo de la Reforma, however, as there is also a statue dedicated to Cuauhtémoc, the last Tlatoani. The pedestal upon which he stands is decorated in numerous pre-Hispanic motifs, making it perhaps the most nationalistic of the Paseo’s statues. It’s an impressive piece either way, and was originally designed and started by engineer Francisco M. Jiménez. 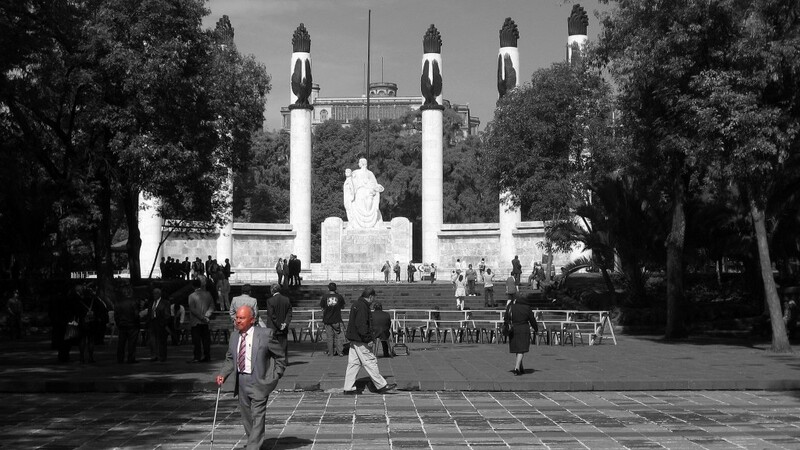 Finally, we move away from the Paseo de la Reforma for our last monument; the Hemiciclo a Juárez. This semi-circular structure is located opposite the Museo de Memoria y Tolerancia and was built in 1910, due to orders from then-President Porfirio Díaz. Made of Carrara marble, this is an emblematic monument in the historic centre of Mexico City and rounds off our guide to the top statues and monuments in the Mexican capital.